Not only can an elevator add value to your home, but it can also make your living conditions that much simpler. Consider how much easier it would be to carry the kids to bed at night or to send groceries up a level or two with the ease of an elevator. In addition, adding an elevator to your interior design makes your home more accessible and wheelchair-friendly, helping those friends and family members who have limited mobility. At Nationwide Lifts, we offer affordable and stylish solutions to these problems in the form of glass residential elevators. Your home is your castle, and for that reason, you want it to look its best. Whether you are looking to have a glass residential elevator installed for aesthetic reasons or you just want one to help make your life easier, the experts at Nationwide Lifts are ready to help. 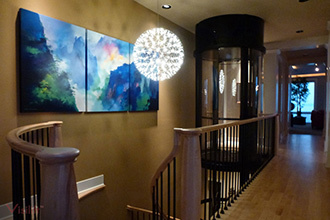 We carry sleek residential glass elevators that will work well with any existing home decor. A pneumatic elevator, which is operated using air pressure, is an eco-friendly way to incorporate the ease and luxury of an elevator into your home. We also offer cable elevators in octagonal and round styles, making it easy to fit one into the design of your home. 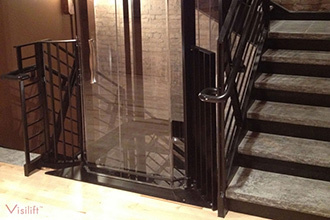 Nationwide Lifts is a proud provider of the best in residential glass elevators. We strive to give each and every one of our customers the best, whether they are looking to purchase a glass residential elevator or simply looking to have theirs serviced. 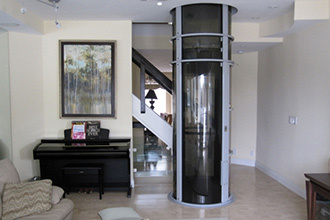 Call today to learn more about the glass elevators we have for sale, get a free quote, or request a free catalog of all of the glass residential elevators we have to offer as well as our wide variety of other elevators and lifts. We’d be happy to answer any questions you might have before you buy and help you make the right choice. Contact us by phone or online today!